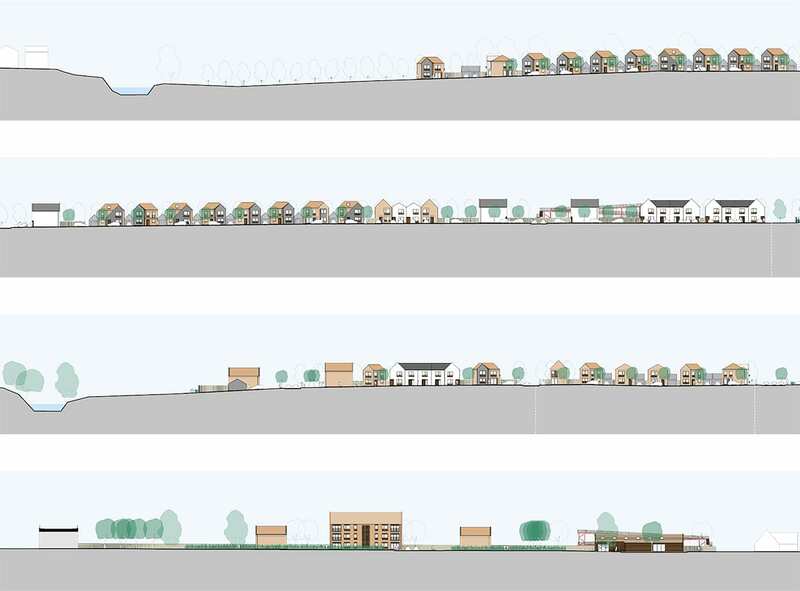 Architectural Emporium recently worked collaboratively with Elevate architects and CW studio Landscape Architects to submit a reserved matters application for a housing scheme in Ludlow. As the previous outline scheme did not conform to council guidance regarding road loayout, access, tree protection or interface distances, the masterplan was completely redesigned. 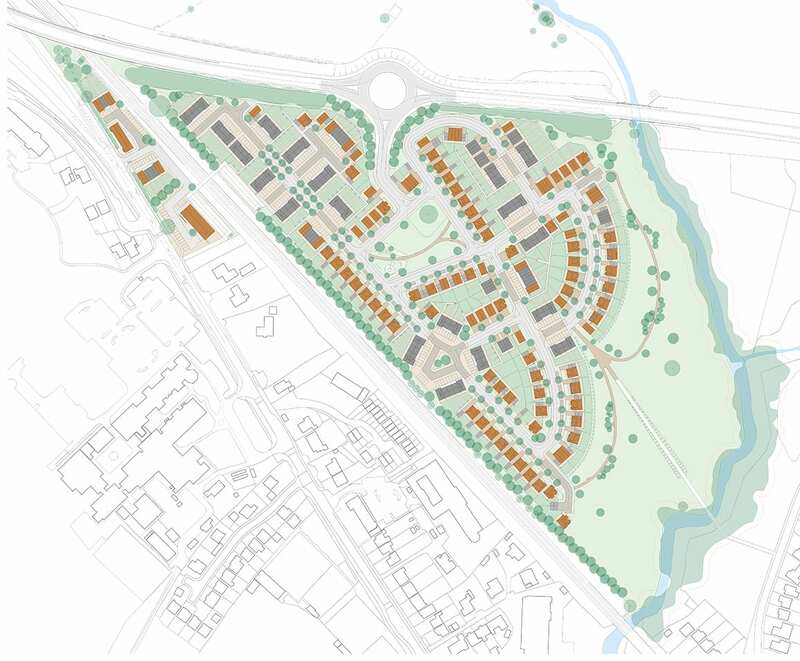 The adjusted scheme featured a larger village green as the focus of the development, two more defined crescents overlooking the riverside park, two formal avenues and five additional houses. The adjusted layout increased efficiencies and offered greater value to numerous properties as they overlooked better quality open spaces. It also featured a more structured distribution of the small terraced blocks forming streets and squares. A footbridge over the railway line that disected the site was designed together with a further footbridge over the river linking the proposed development with a neighbouring area of housing. Affordable housing is accommodated within the developments with numbers increased. The larger house types are arranged along tree lined crescents and avenues mostly overlooking the village green and the riverside park. A simple pallete of materials is used throughout the scheme, drawing on the local vernacular and other high quality housing schemes. Variety is offered within the development but some common features such as window boxes unify the scheme.